South Florida is known for its intense climate, but it doesn’t have to be known for the insects that climate attracts. 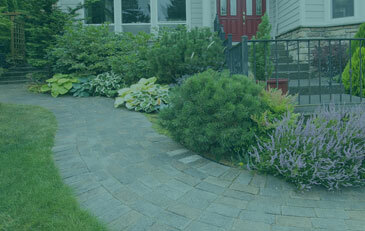 We help you get pests off your property for good. Reach out today for the best pest control team in the area! There are a couple of reasons that you might find yourself typing “pest control West Palm Beach” into your computer browser. You might find that it is hard to enjoy your time in your backyard because of a mosquito infestation. If this is the case, we recommend our mosquito control and mosquito fogging services. You might be a homeowner that has found a nuisance pest like cockroaches living in your pantry and cabinetry. Similarly, if this is the situation you find yourself in, we recommend our residential pest control services — a treatment service that can be used to treat any pest that is thrown at you. Lastly, you might be a West Palm Beach area business owner that is sick of nuisance pest driving customers away — and for that, we recommend our commercial pest control services. So go ahead, type “pest control West Palm Beach” into your browser or contact us right away — because you have more than enough of a reason to need pest control. But What Does Pest Control Entail? When people picture pest control, they tend to think of a man or woman in a hazmat suit walking around their home with a spray nozzle and jug of pesticides. Sure, we would be lying if we said that there won’t be any spraying involved in the treatment of your West Palm Beach home or business, but modern pest control approaches are tailored to reduce the need of those chemicals. At Native Pest Management, we provide the greater West Palm Beach and the surrounding area with integrated pest control technologies so that we can rid your home or business of pests, and so we can keep them out too — all while reducing the impact and risk to you and your loved ones. At Native Pest Management, we are more than just people in the pest control business. As a local business, we have been residents of the Palm Beach area for three generations — so you could say that we know a thing or two about pests in our area. So why are we qualified to protect your property from the common nuisance pests that plague South Florida? As locals of the West Palm Beach area, we have seen it all. We know the pests that reside in our beautiful area extremely well — and we know how to control them even better. Our team of experienced pest control services providers utilize eco-friendly and safe pest management products and integrated pest management strategies to ensure that your home or business stays pest-free. So what are you waiting for? There is no need to search “pest control West Palm Beach” online. Simply contact us at Native Pest Management today to schedule a treatment or to request a free estimate. 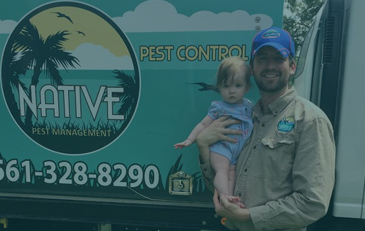 Native Pest Management is proud to call West Palm Beach home, but while our office is physically located in West Palm Beach, we are known to leave our city limits to help those in need of pest control services. 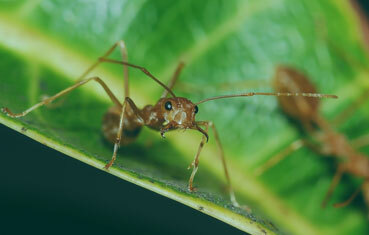 In fact, we provide pest control services to the greater part of West Palm Beach County. If you live, or work, in any of the above cities or anywhere else in Palm Beach County, we urge you to get in touch with us to request a free estimate. We look forward to hearing from you and helping your home or business become pest free, once again — exactly how it should be. Learn more about our team, our expertise, and how we can help you. We look forward to helping you reclaim your South Florida home. See what our happy customers have had to say about us. We get rid of infestation problems and ensure they never come back. If you would like to schedule our services, learn more about what it is we do, or simply tell us how you feel about our work, contact us here.